My dad loves tofu, and so whenever we go to dine at a restaurant in Malaysia, claypot tofu is one of the frequently ordered dish for our family. 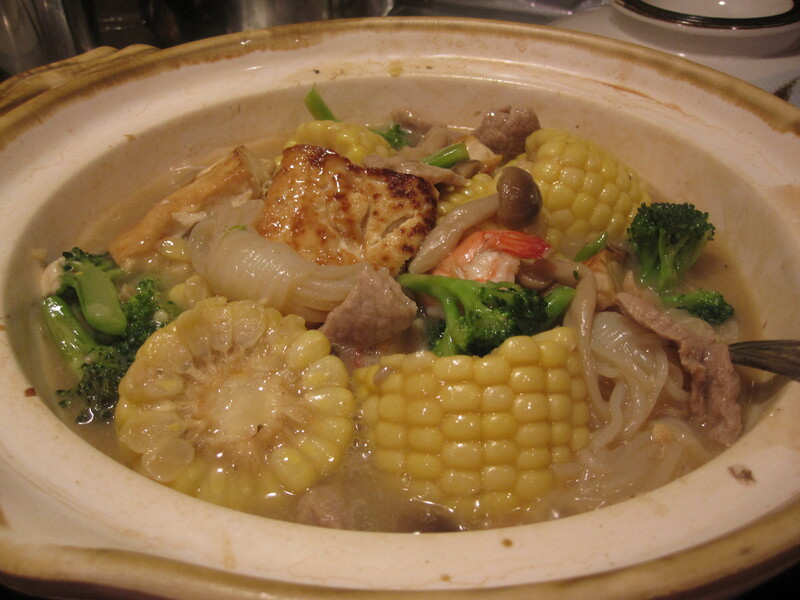 I love to eat hot steamed rice with a scoop of the claypot tofu and gravy on the top… yes, it’s comfy food for me. So, what else is in the claypot besides tofu? Well, it’s very versatile– mostly colorful vegetables (broccoli, snap peas, mushrooms, carrots, corn/baby corn, onion, Napa cabbage, Konyaku strings 芋丝，peppers if you opt for spicy version etc…), some pork/chicken slices and some shrimps. This is a good way to use up your vegetables in the fridge (besides Vegetable Curry). It is also great for lazy/busy people–make it a one pot meal and serve with steam rice. Cook the food straight in the claypot, then you don’t even have to clean the wok and it tastes better!